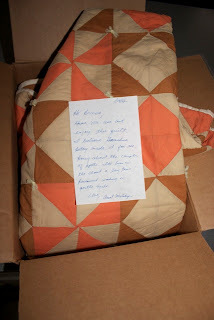 The day after I received my sewing machine, I NEEDED to start sewing. 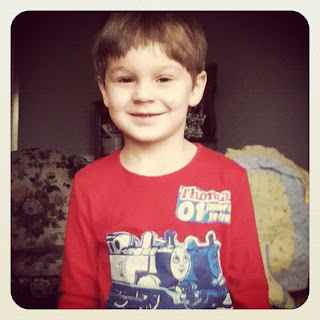 My little guy, Cyrus had been really sad that his “Thomas the Train” shirt was too small for him. Actually, he was becoming VERY sentimental when it came to growing out of things. Sweet boy. So, I went to Sew N Save (where my hubby bought my sewing machine!) and picked up some red thread for my first project. I was going to save that shirt so Cyguy could wear it one way or another! I found a red shirt in his drawer…. 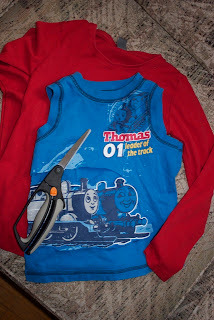 And I sewed them onto his red shirt! Look how proud he is!